We’d love your help. Let us know what’s wrong with this preview of After a Time by Laurie Salzler. In the late 1800’s, teenager Mayme Watson boards a train bound for Eagle Rock, Idaho. Disillusioned by her parents and completely alone, she finds a place to stay and a job to support herself. When Mayme discovers that most of the girls in town are just biding their time until they can marry, her heart calls for a change. She embarks on an adventure to overcome her feelings In the late 1800’s, teenager Mayme Watson boards a train bound for Eagle Rock, Idaho. Disillusioned by her parents and completely alone, she finds a place to stay and a job to support herself. When Mayme discovers that most of the girls in town are just biding their time until they can marry, her heart calls for a change. She embarks on an adventure to overcome her feelings of failure by disguising herself as a boy and getting hired on as a post rider for the United States Postal Service. 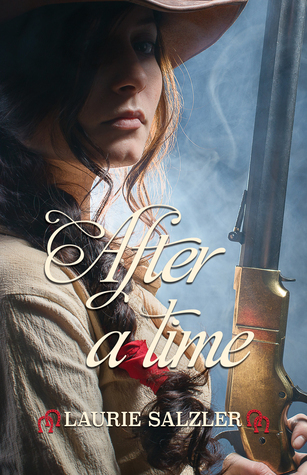 To ask other readers questions about After a Time, please sign up. Dusting off some of my TBR pile. Historical fiction, YA sorta. I mean she has to grow up *really* fast all things considered. It really is about personal strength and choosing your own path. It's a little outside of what I've read from her in the past. She did after all pen Positive Lightning which is in my all time top 10 books of all time. IDK, thought it was a great read. And that closes out everything there is for me to read from her. Sigh. An evocative story of a young woman! In the era in which this story takes place, women exist only to submit to men, to do the household, to become the mother of his child. No career, no life of her own. Mayme needs to go "undercover" to make her dream come true. She is defiant, doesn't want to go down a path that others have chosen for her, she is quite unlike any other women. Mayme is certainly not a typical girl for that time period. I was rooting for her because I wanted so badly for her to su An evocative story of a young woman! This is not a romance, but a great historical fiction. Train travel, Old west and Indians. When I got to the end I was surprised it was over, but it ended in a logical place, I just wanted more to the story. I heard there may be a sequel, so that would be fun. I've really enjoyed the main character and her adventures. No romance was definitely a change of pace for me. And It was nice that she met only good people on her journey. And even if some weren't that great they didn't negatively affect her journey. I'm not that happy with the ending because while the message is basic but great it's not like the people she decided to stay with offered her more from life than anyone she met earlier. And I felt it was a real disservice for her character how quic . Laurie Salzler holds a degree in Natural Resources Conservation and Outdoor Recreation. She has worked with animals (wild and domesticated) her entire life, including several years spent in the veterinary field and equine industry at training and breeding facilities in New York, Pennsylvania, and Michigan. She is an avid outdoor enthusiast, whose activities include horseback riding, hiking, snowsh Laurie Salzler holds a degree in Natural Resources Conservation and Outdoor Recreation. She has worked with animals (wild and domesticated) her entire life, including several years spent in the veterinary field and equine industry at training and breeding facilities in New York, Pennsylvania, and Michigan. She is an avid outdoor enthusiast, whose activities include horseback riding, hiking, snowshoeing, bird-watching, and photography. One of her favorite past times is walking with her pack of canines. A particular passion of hers is training dogs, which developed largely from raising numerous seeing-eye pups. The success of those dogs in becoming reliable Leader Dogs for the blind gave her the confidence to branch out into starting an in-home dog training hobby in which she travels to client homes to help them develop into effective pack leaders with their dog(s). A Kiss Before Dawn and Right Out of Nowhere were published by Blue Feather Books in 2012 and 2013 respectively. She is currently hard at work on several more stories, including a sequel to her debut novel, A Kiss Before Dawn. In the Stillness of Dawn will be released in 2015.